With the sun setting earlier and earlier these days, it's hard to sneak in pictures during the work week without bothering one of my co-workers to snap some shots. This was one of those outfits that just came together so easily - an outfit that's actually effortless. Parties on parties on parties? Sounds tiring, but in a good kind of way. I hope you get your partyin' on, Jen. ;) ! Have fun this holiday, ya hear?? I adore your outfit, definitely channels that effortless chic vibe. Your blouse is especially pretty! Haha enjoy your epic lineup of parties, it sounds so exciting! 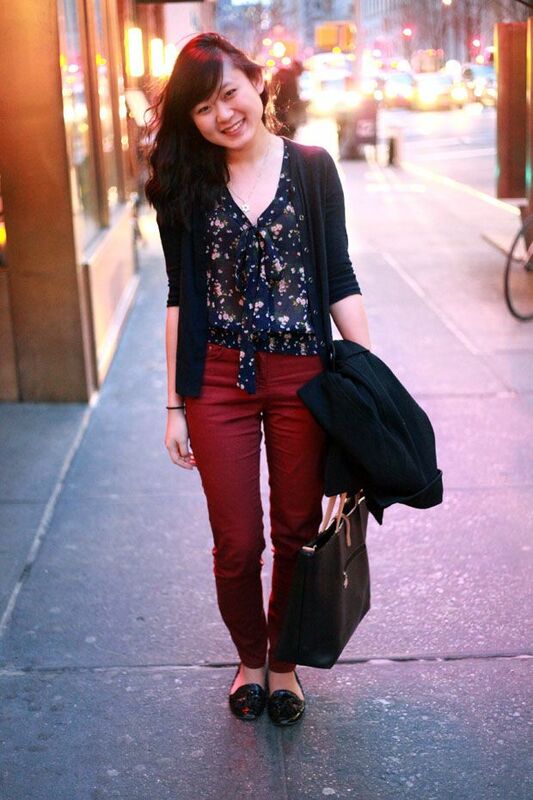 Colored denim--so good! 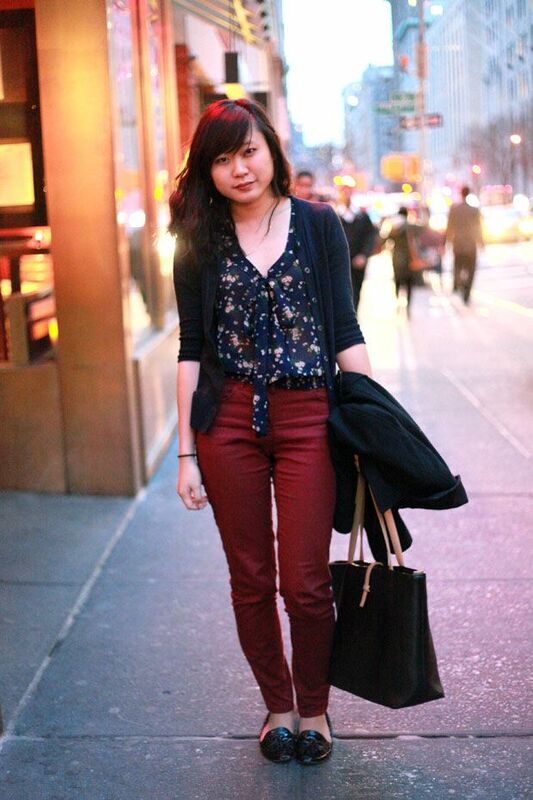 I now need to find a pair of maroon colored jeans! Also, the next time we see each other--curl my hair? I cannot curl short hair :( :( :( And then we can party party party!! Love the oxblood with the dark blue. So classy.